When Is It Worth Buying Premium WordPress Plugins? As a WordPress user, you have thousands of free plugins to choose from. There are solutions for practically every scenario, and in many cases, you’ll also find premium options too. In those situations, figuring out whether to spend the extra money can be difficult. There are situations where buying premium plugins makes sense, such as when they include functionality you can’t find elsewhere. In this article, we’re going to give you a glimpse into the world of WordPress premium plugins, and talk about why paying for one can be a good idea. As you may know, there are dozens of categories of WordPress plugins to choose from. You have Search Engine Optimization (SEO) tools, security plugins, image compression options, and more. However, generally speaking, we can divide WordPress plugins into two main categories: free and premium. Sliders in particular have plenty of free solutions such as MetaSlider or Master Slider. Logic would dictate that Slider Revolution is a better option, since it’s more expensive. However, this logic doesn’t always apply. There are plenty of reasons to buy premium WordPress plugins, but you shouldn’t blindly assume they’re better options just based on cost. Other developers also follow a similar approach, and some publish their premium plugins on platforms such as ThemeForest. The point is, you should exercise caution when buying a premium plugin and only do so from sources you trust. Directly from a developer’s site is usually going to be your preferred approach. Before we go any further, we want to be clear there’s no definitive better choice between premium or free plugins. You simply need to try and determine which one fits your needs the best – the cost is almost a secondary concern if the features are what you’re after. This can be a lot of work, but testing out several options can save you long-term grief. With this in mind, let’s talk about why premium plugins can be a worthwhile. One of the biggest perks of premium WordPress plugins is you often get direct access to the developers, who are best placed (and can help you sort out) any issues that arise. However, there’s often little incentive for developers to try and answer questions as soon as possible when there’s no cost attached. This means if you run into a problem with your new plugin, it might be a while until you receive assistance. In contrast, expedited support is part of the deal when you buy premium WordPress plugins. In some cases, having dedicated support can save you from hiring further help to troubleshoot issues, or spending hours working through issues yourself. This isn’t so much of an issue if you enjoy troubleshooting tech problems, although it is going to be a concern for otherwise busy site owners. Finally, you’ll usually need to renew your plugin license to keep receiving support. However, unlike other subscriptions, you’re not usually charged on a monthly basis. Regardless, if you buy a license for a premium plugin at $20 and it gets you support for six months, it’s a pretty good deal. On top of dedicated support, premium plugins often come with far better documentation than their free counterparts. Of course, there are exceptions, although it makes sense that remunerated developers will take the time to create more extensive documentation. The upsides here are obvious. First, you’ll usually install and configure your new plugin quicker. The documentation may also help you troubleshoot issues without assistance. For the developer, good documentation can also save them time dealing with support requests. In many cases, you can check out a premium plugin’s documentation before purchase. If you scour the documentation and find it lackluster or non-existent, that’s a massive red flag, in our experience. Unless the plugin in question requires no configuration and it offers exceedingly simple functionality, it should always include good documentation. As we said, plenty of free WordPress plugins also knock the ball out of the park when it comes to documentation, so this perk isn’t exclusive to premium options. However, if it’s not there, the value of the plugin overall is somewhat degraded. Premium plugin developers often have an incentive to push out regular updates, simply because they’re being paid. Few updates can erode trust, bad reviews can start rolling in, and you’ll also be out of a source of income. Of course, many free plugins also get regular updates. However, in our opinion, premium plugins have more ‘urgency’, which is good news depending on the bug in question. Some popular developers even publish blog updates of their roadmap, so you know what they’re working on, and when you should expect to see it. Most repositories enable you to check out a plugin’s update history before you download it. That way, you can check for yourself to see if it’s under active development. As a rule of thumb, we recommend you stay away from plugins that haven’t received updates in over six months. Those types of plugins are more likely to cause compatibility issues on your site, and given the wealth of choice available, you can simply pick a more current option. In a nutshell, if you’re looking for a plugin to handle essential functionality on your website, you need to make sure you choose one that gets regular updates. In these cases, it can be worth it to buy premium WordPress plugins since you may get more regular updates. If you need a specific feature for your site, and you can’t find a free plugin that gets the job done, you’re obviously going to have to pay for a premium option. However, these circumstances are rare, in our experience. A good example is WooCommerce’s extensions. There are usually highly-specific add-ons available for WooCommerce that lack either a free or high-quality alternative. Here, you’ll be hard-pressed to get the functionality you require unless you open your wallet. Wordfence’s premium version, on the other hand, includes more advanced features, such as real-time access to the latest IP blacklists and malware feeds. The free version of the plugin is good enough for most sites, but sites with specific security requirements (such as storefronts) will need the added feature set. However, if you pay for the plugin’s premium version, you also get access to dedicated migration tools, support for WordPress Multisite, and multiple remote backups. In this case, it’d make sense to pay for the premium version if you need to back up a multisite WordPress setup, or have some other complex requirement. Of course, WordPress always provides plenty of plugin choice. This means before you buy a premium plugin, you need to ask yourself whether you really need the functionality it offers, and whether there are no alternatives available. Stumping up the cash depends on the answers you give. If you have the budget, there are plenty of situations where buying premium plugins is viable. However, WordPress offers plenty of free options, meaning the pressure to spend money on plugins you can’t afford doesn’t exist. You get access to dedicated support. There’s often more expensive documentation available. You may get more regular updates. They often include functionality not available in free plugins. Do you think it’s worth it to buy premium WordPress plugins? Share your thoughts with us in the comments section below! 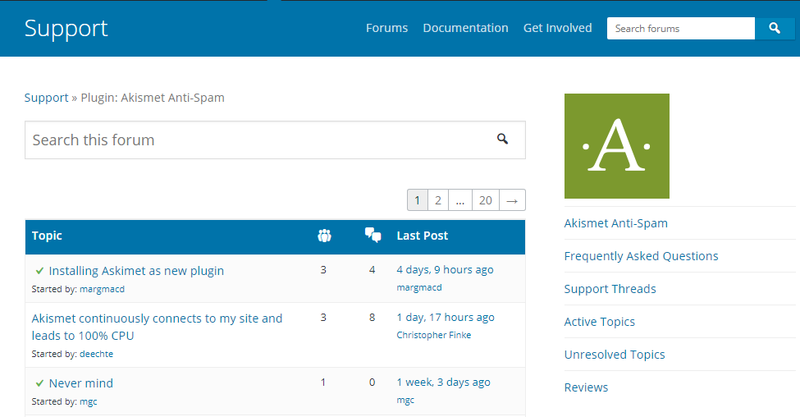 The post When Is It Worth Buying Premium WordPress Plugins? appeared first on Elegant Themes Blog.